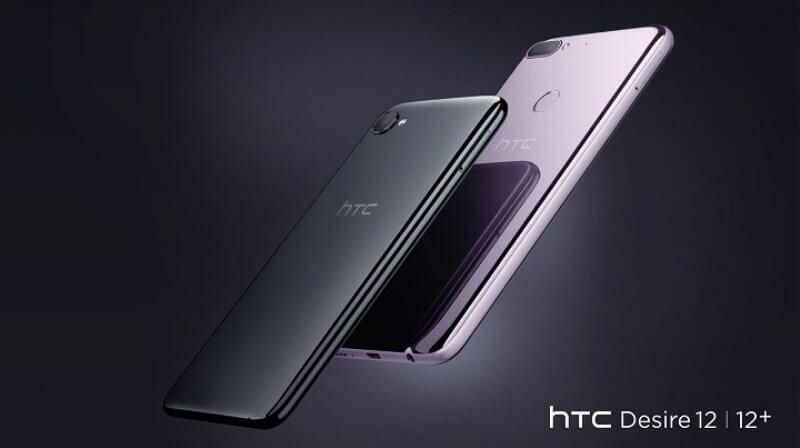 HTC has launched its two new mid-range smartphones that are equipped with 18:9 screens – the Desire 12 and Desire 12+! The HTC Desire 12 sports a 5.5-inch HD+ screen that has 1440 x 720 resolution, translating to 293 pixels per inch. Inside, it packs MT6739 quad-core processor and PowerVR Rouge GE8100 graphics. It is coupled with 2GB of RAM and 16GB of internal storage, which is expandable up to 2TB via microSD card. It boasts 13-megapixel main camera, 5-megapixel front shooter, and 2730mAh battery, too. On the other hand, the Desire 12+ flaunts a bigger 6-inch HD+ screen. Under the hood, it is powered by 64-bit Snapdragon 450 octa-core processor clocked at 1.5GHz, and is paired with Adreno 505 GPU. The device is complemented with a bigger 3GB of RAM and 32GB of internal storage. The latter is expandable up to 2TB via microSD card, as well. The handset is geared with 13-megapixel rear camera, and 8-megapixel front snapper. It is equipped with 2965mAh juice, too. The HTC Desire 12 and Desire 12+ will be available in Europe beginning April. It will be priced at EUR 200 (Php12.7K) and EUR 250 (Php15.9K) respectively.